This area is still under construction. We are trying to update as soon as possible. 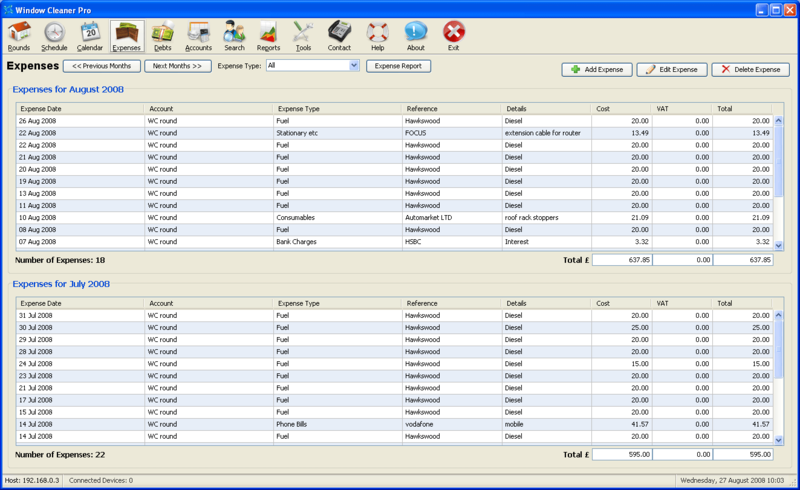 Here are some brief screen shots of the main application to show you the interface of Window Cleaner Pro. Please contact us if you require any help. Rounds Screen - A list of all your rounds and the jobs they contains. Schedule Screen - A colour coded list of the work that is due. This screen also has all your worksheets that you have defined. 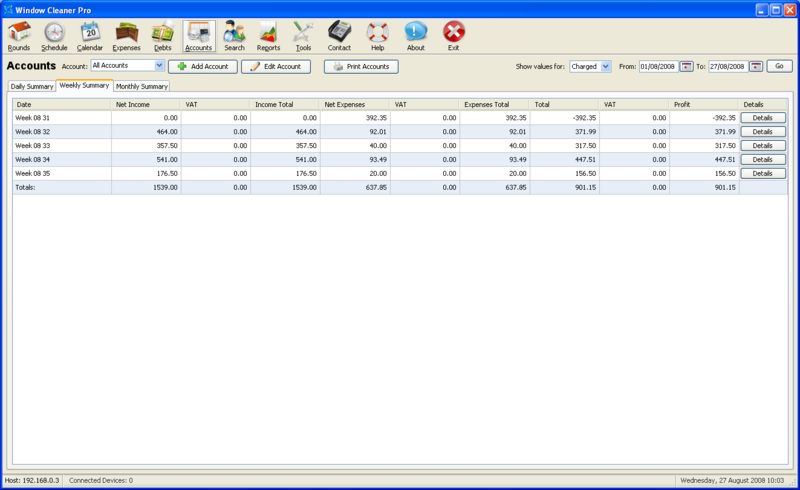 Debts Screen - Showing all customers that have outstanding debts. 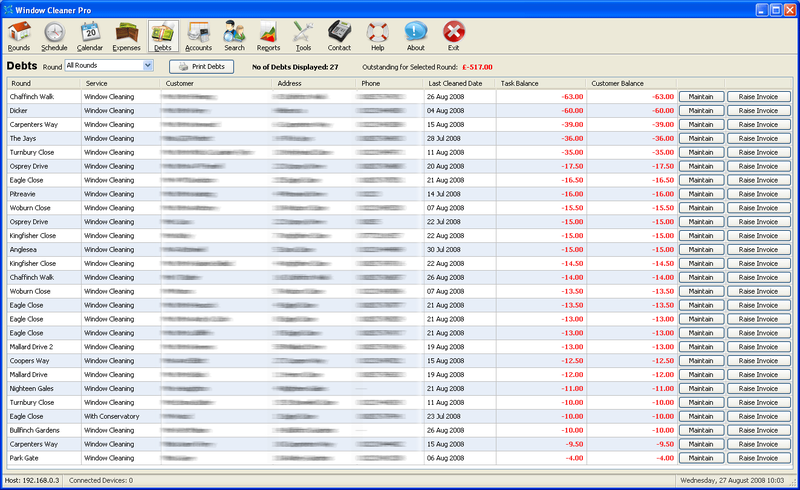 Expenses Screen - Showing you all expenses for the last 2 months. 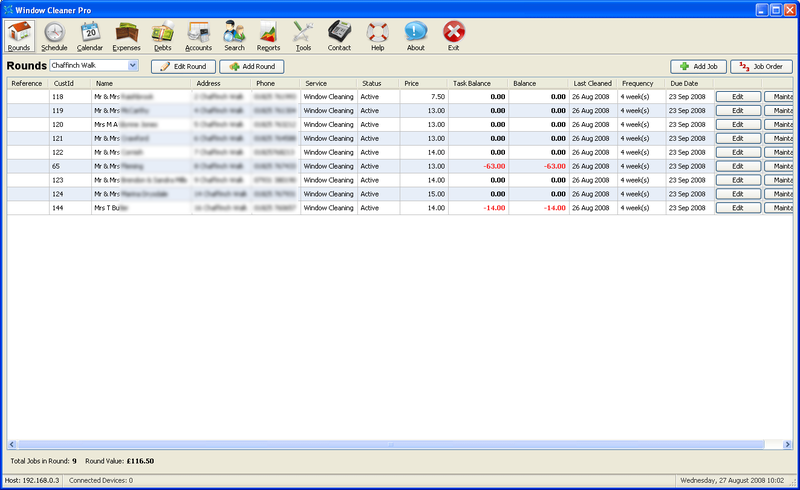 Accounts Screen - Your accounts divided by day, week and month.